The Original Novel. 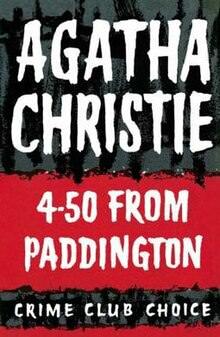 The book "4.50 From Paddington" was first published in 1957, and made into several movie and TV adaptations. The title refers to the train the eyewitness McGillicudy was riding in when she saw the murder. In the US, it was published with the title, "What Mrs. McGullicuddy Saw". Miss Marple. This fictional character has appeared in Agatha Christie's 12 novels and 20 short stories. She's an elderly spinster, and amateur genius sleuth. As I mentioned in my notes in "Kuroido Goroshi", The creation of Miss Marple was inspired by the character of the nosy sister in "The Murder of Roger Ackroyd". In the SP, this character was changed to a younger woman who was a widow and a genius crime and crisis specialist. • The victim in the book was French, and was a show girl and dancer traveling with a dance troupe. Her body was found in a sarcophagus inside the long barn in the family estate. In the SP, she was Chinese, whose background wasn't any more discussed. Her body was found inside what looked like an empty antique stone tomb inside the storage house. • The family in the SP was the owner of a confectionary corporation. In the novel, the family is the owner of a company that makes popular tea bisquits. • The eldest brother in the book, died during the Dunkirk campaign in WW2 in a motor accident, not killed in action. In the SP, he died in a car accident in Shanghai, China. • That brother's girlfriend in the SP was Chinese, and lost the child she was carrying in that same accident. In the novel, it was a French woman who met him when he stayed at her house which served as lodgings for Allied soldiers during the war. She was able to migrate to England, and marry a rich nobleman. She was never pregnant with her late boyfriend's child. • There wasn't much difference in the portrayal of the rest of the siblings, except for the youngest son. In the SP, he was president of a company, who was accused of violating a minor at a hotel while the one in the book was involved in shady business dealings. • The father in the novel didn't say really awful things as much as the one in the SP. The book version was more of the usual curmudgeon-type miser. But when he was younger, he was a frivolous man, traveling abroad and buying art and antiques including the aforementioned Egyptian sarcophagus where the body was found. Because of his frivolous ways which was frowned upon by his own father (the founder of the company), he wasn't allowed to touch the estate, but will have an allowance from its earnings, and that everything will be handed over to the grandchildren instead, once he's dead. Therefore, (unlike in the SP) the father in the book can't threaten to disinherit his children since he does not have the power to do so. That is why he feels spiteful and jealous, that his children will get to inherit the estate once he dies, and saying stuff like he'll outlive them all. This was an important point since the killer knew about the terms of the inheritance, that's why he pushed on with his plan to kill the other siblings because he knows the remaining sibling/s will get a larger share, no matter what. So in the SP, the father's threats to disinherit his kids seems illogical because he did say he cannot touch the estate. • The eyewitness to the murder in the SP was the mother-in-law of the protaganist but in the book, it was a good friend of Miss Marple who was Christmas shopping and on her way to see her. • The book didn't state the killer was a smoker. That mannerism thing was an added detail in the drama. • The super housekeeper in the book, was Lucy Eyelesbarrow, a genius 30+ year old woman who can do practically anything. She was an Oxford honors graduate in mathematics, and instead of pursuing a career in the academics, she opted to become the most sought after free lance, professional domestician. She charges fees so high that she can afford to have plenty of luxurious vacations abroad. In the book, she came to replace the housekeeper temporarily. And of course, she can't do everything alone in a big house, there were other maids and servants as well. Same as the SP, the men in the family would flirt with her. But in the book, though it wasn't anymore disclosed what happened eventually, Lucy did seem interested in one of them, the widower son-in-law. Discrepancy in Time. Did you notice the mistake in the script? Keiko said she received the letter from "Zhang Meili" on Dec. 15, but sent her reply in the form of a postcard on Dec. 11. The Train. 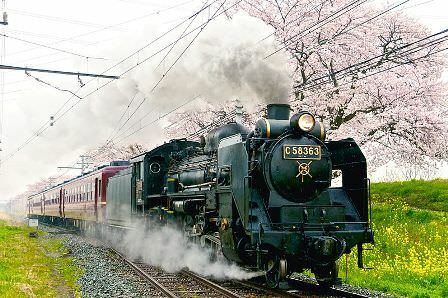 The old-fashioned steam engine train was the Paleo Express, operated by the Chichibu Railway, of northern Saitama Prefecture. The Western-style Mansion. The exterior and some of the interiors (staircase, kitchen, bathtub room) was filmed at the Eguchi Kawaguchi House of Minamitsuru-gun, Yamanashi Prefecture. This mansion (which according to its website, one can rent for filming purposes for 28,000 yen per hour!) can be seen in other dramas like "Kizoku Tantei", "NazoDi", "Voice", "Aibo" S14, "Life", and "Kaibutsu-kun" SP, and most recently, "Gakkepuchi Hotel". The Hotel. The scenes at the hotel where Amano Toko stayed in and the lobby where Keiko was waiting were filmed at the Okura Akademia Park Hotel of Kisarazu, Chiba. Thank you very much for the informations/drama notes. A big help. Overall I think the adaptation was very good. Most of the changes suited this version. But I was disappointed by the lack of a Miss Marple-type character. I love Amami Yuki; she's brilliant, beautiful, and an excellent actress. However, I think there are plenty of much older actresses who could have given equal a performance to Joan Hickson. Thank you for subbing, and for the notes.